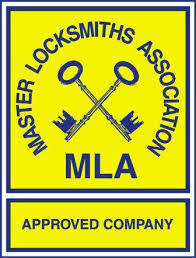 The Master Locksmiths Association (MLA) – the leading trade association for the locksmithing profession – has secured its biggest sponsorship deal to date, ahead of their anticipated 18th Expo in October 2017. The deal, which has been made with MLA Affiliate Member Brisant Secure, cylinder and security trade specialists comes as exhibitor sales are set to hit the highest levels yet. Hosted on a biennial basis, suppliers and manufacturers join visitors from across the world gather at the event to display their products and services, discuss industry trends and take part in training courses. Now in its 19th incarnation, the exhibition has proved so successful that it has grown to become Europe’s largest trade exhibition for the locksmithing and physical security industry. The 2017 Expo will be doubling in size, taking up two halls at the Telford International Centre. Taking place from 6-8 October 2017, the upcoming Expo will see a brand new area dedicated to auto locksmiths called ‘The Garage’. Being run in collaboration with the Auto Locksmiths Association (ALA), it will feature exhibitors offering products and services specific to the auto locksmith and a dedicated in hall auto locksmith seminar area and a vehicle training area. “Our Expo is one of the most anticipated events in the security industry calendar, and provides a great opportunity for anyone in the industry. They can showcase their products and services, network, share knowledge and make new contacts.